Keri Walsh was eight years old when she first went to Camp Hodia, a diabetes overnight camp in Boise, Idaho. Diagnosed with Type 1 diabetes at age 4, she had spent previous summers at a day camp run by a diabetes clinic. But overnight camp was a big new step. While it’s hard to argue with such praise, and as appealing as such a place sounds, the idea of sending your child away for up to two weeks also can be scary. For most of your child’s life, you’ve probably been within minutes of attending to his or her care. But you also know that for many children, loneliness accompanies diabetes. Meeting other kids with diabetes could help your child feel less alone — and help him learn that he, too, can participate in every kind of fun that other kids can, both indoors and outside. But every answer leads to more questions: How do I know my child will be safe and her diabetes kept under control? How do I choose the right camp? Below are answers to common questions about diabetes summer camps. You could be offering your child one of the best experiences of her life. How do I find a camp? The Diabetes Education & Camping Association (DECA), headquartered in Florence, Alabama, lists 199 member camps on its website, www.diabetescamps.org. “If a camp is on our website that means it has joined our association, which cares about being on top of the best practices in diabetes,” said Shelley Yeager, DECA’s program development specialist. DECA does not accredit camps; that’s done by the American Camp Association [ACA], an important credential to check as well, said Yeager. ACA has general safety standards apart from diabetes. The American Diabetes Association also lists camps on its website, www.diabetes.org. Yeager suggests looking at camps geared toward your child’s interests. One helpful measure is to talk with your child’s doctor and school nurse. “Lots of times, kids are recommended to us by medical providers or school nurses,” said Lisa Gier, executive director of the Idaho Diabetes Youth Programs, which operate five Hodia camps in the state. 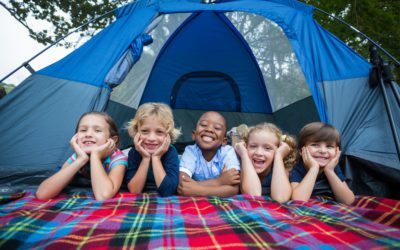 “If the school nurse thinks a child is ready, she may suggest the family go to a camp gathering to meet other families.” Some bigger camp organizations also offer family camps, a good introduction to camp with Mom and Dad still nearby. There also are day camps, which can give kids an introduction to camp without staying overnight. Some camps, such as Idaho’s Hodia camps, host community events throughout the year, encouraging families with kids of all ages to come well before they might be ready to consider camp. “We want to help families feel comfortable and get the feel of the program,” said Gier. Most camps have open houses in early spring at which families can meet returning staff and campers either on site or at a pediatric clinic that serves the camp. Such meetings allow you to gauge the reaction of your child and discuss how he or she feels about going to camp. Is the camp following the current medical guidelines set forth by the American Diabetes Association (ADA)? “The camp may be accredited by the American Camping Association,” said emergency room physician Alan Bean, MD, Camp Hodia Teen and Kids Camp director, who started attending Camp Hodia at age eight. “But the American Diabetes Association is a medical body that has nothing to do with camp accreditation, so you need to ask if the camp is following ADA guidelines.” You can find the ADA guidelines online at www.diabetes.org. What medical supervision will my child have? According to Yeager, typically there is one staff member for every three campers. “In a cabin of eight children, there would usually be two adults who understand diabetes very well and one medical staff member such as a nurse or medical student,” she said. How is my child’s diabetes managed over the course of a camp day? Camps vary, but generally each day begins with blood sugar testing in the cabin and a discussion of the readings with the cabin’s medical expert, said Bean. At each camp meal, the carbohydrate content of the foods is presented through visual displays: for example, one half cup of hash browns has 23 grams of carbohydrates. Each child then decides — in consultation with his or her cabin’s medical expert — how many carbohydrates to eat and how much insulin to take before the meal. “We’re there to encourage the campers to stay within their carbohydrate budget so they won’t overeat just because it looks good,” said Bean. At dinner and again at bedtime, the campers repeat their blood sugar testing. At around 2 AM, medical staff test any children who had a blood sugar reading under 100 before bed to make sure their blood sugar has not dropped further. What are campers’ typical problems and how are they handled? Each child checks his or her blood sugar first thing in the morning, at meals, during activities and before bed. Staff always have glucose tablets and snacks on hand. What do camps typically offer? Camp is not one long class on diabetes, either. “One of the greatest misunderstandings is that diabetes camps are weirdly different from regular summer camps and not fun,” she said. What is the cost of camp and is there a waiting list? Prices vary depending on the camp and the length of the sessions (from a weekend to two weeks). Many offer scholarships or suggest fundraising ideas to parents. “We’ve never turned a child away because of inability to pay,” said Gier. She suggests calling the specific camp you are considering to ask about financial options. January and February are key months for researching and registering for summer camps, she added, as many camps already have their forms and materials available and returning campers often register early. At camp, your child will be, perhaps for the first time, just like all the other kids. “I realized that there were so many other kids who were dealing with the same thing I was, and that we could all do activities together, and no one would ask me about my diabetes,” said camper Keri Walsh. Diabetes camp offers children a safe route to independence, learning to handle diabetes with medical experts as an ever-present safety net. And campers learn that kids with diabetes can do anything other kids do — from white water rafting to horseback riding as long as they manage their diabetes. Dorothy Foltz-Gray is a North Carolina-based freelance health, food, and business writer. Her memoir, With And Without Her, won the 2013 American Society for Journalists and Authors award for memoir.